Happy Monday friends! The countdown is officially on. Yup, my vacation is officially THIS WEEK and I am so excited about it! So sorry in advance for the number of times I mention it this week but I don't take many vacations so when I do finally get one I get beyond super excited about it. Ok, enough with the vacation talk since it's still a few days away. Let's jump right in to my weekend recap with the lovely Biana, shall we? Friday morning I woke up earlier than usual so I was pretty tired and ready to crash after work. I came home, made baked buffalo chicken tacos and watched The Detour before heading to bed. Nothing overly exciting which really isn't any surprise for me on Friday night! Saturday morning I woke up early (as usual, why oh why can't I sleep in?!) and headed up to the gym. After the gym we headed out to the mall to do some shopping. This was the first time in forever I spent hours shopping and of course I failed to take a single picture but I did get some fun things for my trip! After shopping and dealing with the crowds and long check out lines it was time for a drink and some sustenance so we headed up to WOB to get some beer and watch The Preakness. My horse won so I was super excited! Go Exaggerator!! After the pool we headed in, got cleaned up and then walked over to Santiago's Bodega for their happy hour. 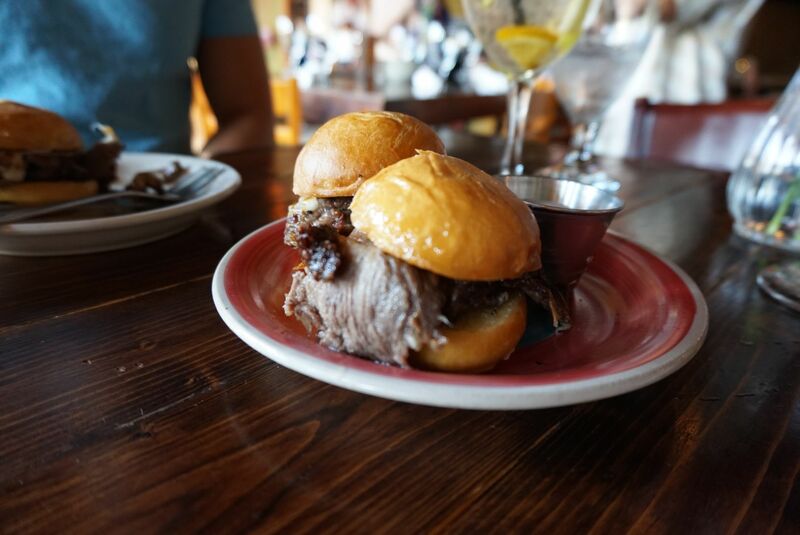 On Saturdays and Sundays they do brunch in the mornings and then half priced drinks and $5 tapas for happy hour, such a great deal! After some sangria, some tapas and a few rounds of Cards Against Humanity we called it a night. Hope everyone has a fantastic week! I'll be sitting here anxiously awaiting Friday! Sounds like a great weekend...yay for almost vacation! The weather at the Preakness looked so horrible but glad your horse won!! So exciting that your vacation is this week--I bet you're beyond ready! Yeah for upcoming vacation week!!!! I feel you on the Mondays being optional......I am struggling today! Lots of good eats and drinks this weekend and love your hat in that last snap. Hooray for almost vacation time!! Your weekend sounds so relaxing and I love your off the shoulder top! omg i am SO excited it's gonna be hard to work this week! had so much fun yesterday - thanks for coming over! and side note = you look amazing in that last photo of us and how do i look like a hot mess. haha. happy monday! 4 days! I need those tater tots in my liffeeeee! Yum all of the food you ate this weekend sounds amazing!! I really need to make buffalo chicken tacos too! Happy Monday! your food snaps from the weekend get me! 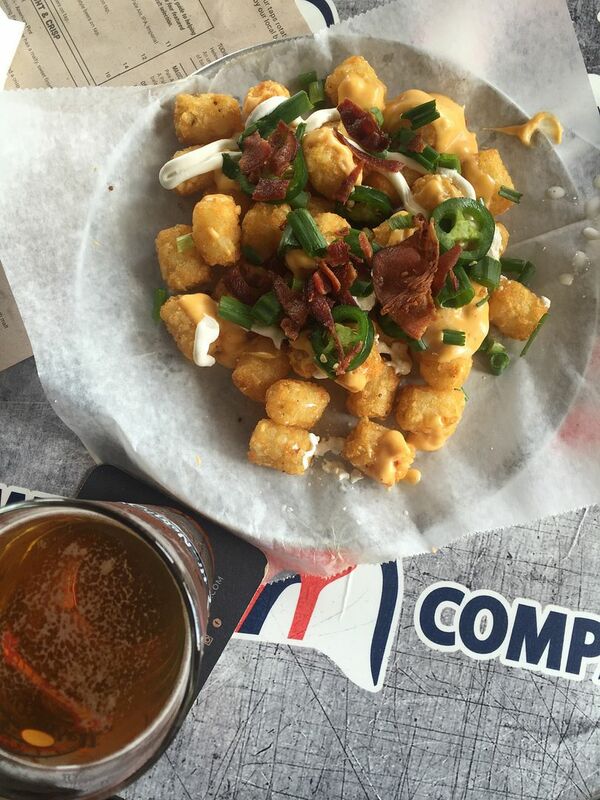 Those tater tot bacon delish pic is getting me so hungry right now! So jelly also because you had sun this weekend where as here in Pa we had pure rain! Yay for it being your vacation week! So exciting! Omg this tater tots look amazing! Should have taken a vacation on Monday! Sounds like a great weekend before a vacation! Yay for your upcoming vacation! Those tat tots look so good. Hope this week goes fast for you! Only a few more days til vaca! That food looks delicious! Congrats on vacation! YAY for vacation!!! Don't worry about being excited, you are soooo allowed to be. Hope you are able to sleep in soon! The build up for a vacation is honestly one of the best parts! And I definitely missed this in a past blog post but, WHERE ARE YOU GOING? Hooray for vacation week! Glad you found some goodies during your shopping trip! Oh how I wish Mondays were optional! lol At least it's a short week and you have a beach vacay to look forward to. Key West? Good to know about Santiago's happy hour. Sounds delish! I need those tots in my life immediately! The week before vacation is the best - love all the excitement! Can't wait to see where! And that tator tot item - wow, looks amazing! 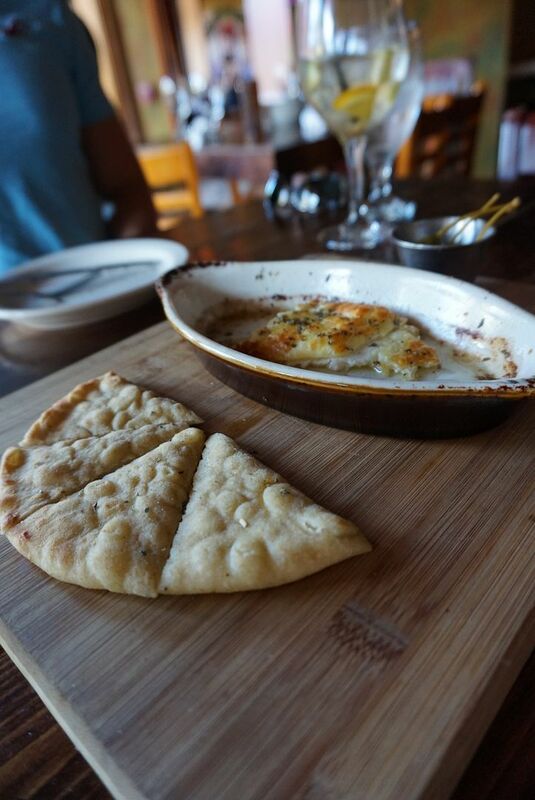 Mondays should definitely be optional! yay for vacation week! Hooray for vacation week! I love your top from Sunday Funday! Wohoo! I hope this week flies by for you...and me too. Haha! This is my last week of work! I love having summers off! Glad you had a great weekend...I always forget to take pictures over my weekends and then I can't recap them. LOL! 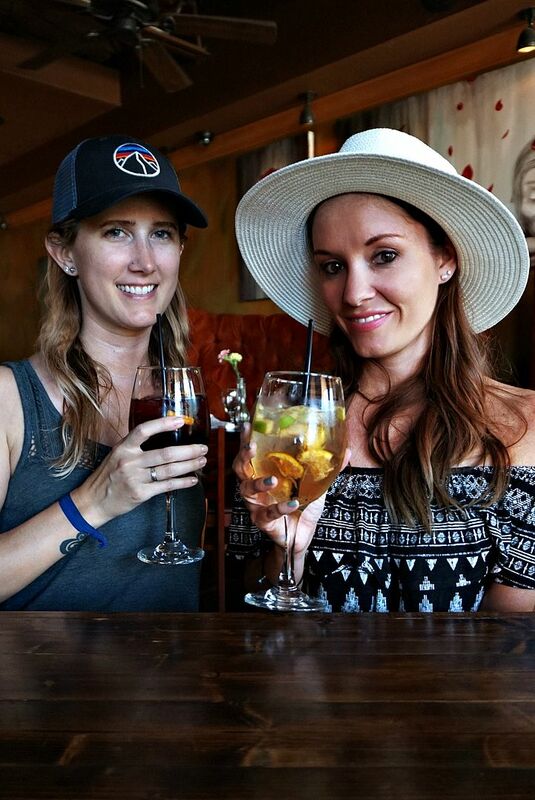 Sangria and tapas - yum!! Can Monday please be done already so it can be happy hour?? haha! I am totally with you about the base tan. I am trying my best so I don't burn in 2 weeks when I go to Cape Cod! 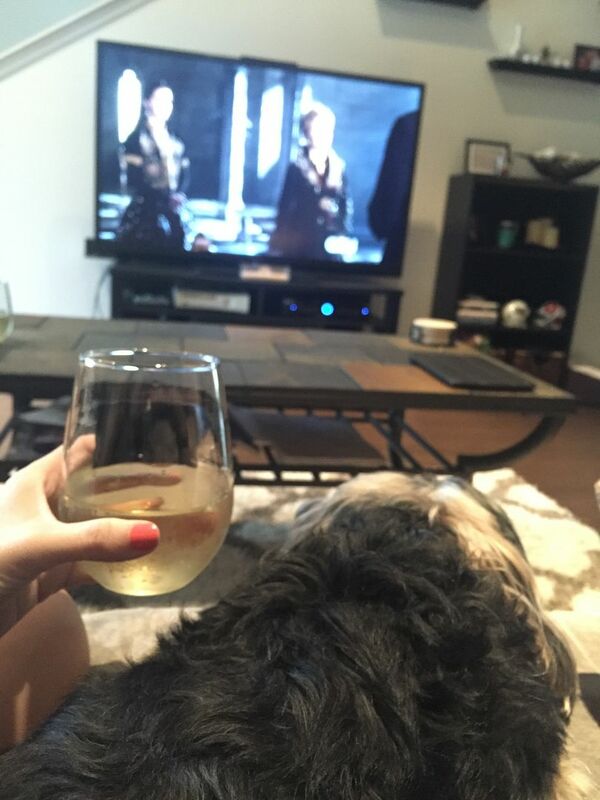 Sounds like the perfect chill weekend! Vacation week is always the best, but it always seems like the days go by so much slower when you're anticipating your vacation! It sounds like you had a great weekend, and you can't beat ending the weekend with some Sunday Funday either! those tater tots look divine. Yay for vacation week! Those tater tots look so good! Soo much good food! Laying out at the pool sounds like a dream-- it sounds like a productive and relaxing weekend before you leave for your trip. Love your hat too! Talk about that vacation, girl! I'm like you and don't get to take many, so when I do, it's all I can talk about! Hope this week goes by quickly for you! Enjoy your vacation!! Can't wait to hear more about it and see pictures! Yay for vacation! 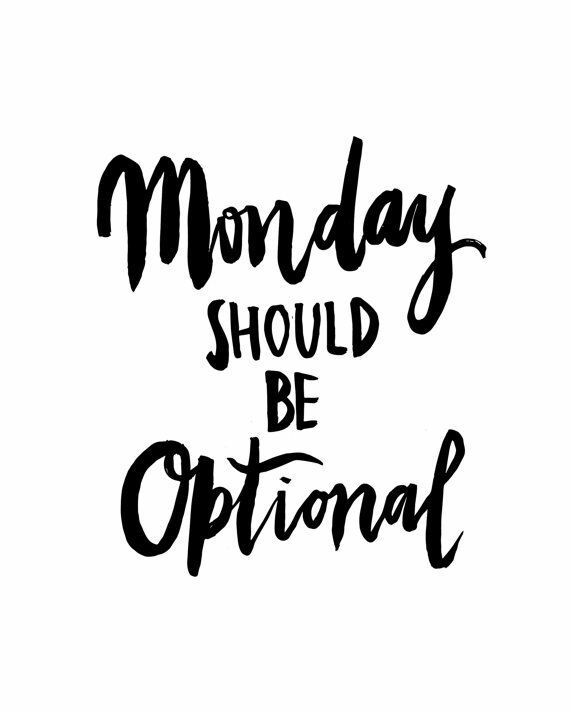 Also that meme couldnt be any truer - Mondays should be optional! i can't focus on anything when it is vacation week lol so i totally understand. yay for your horse winning and holy moly all the food looks SO good.